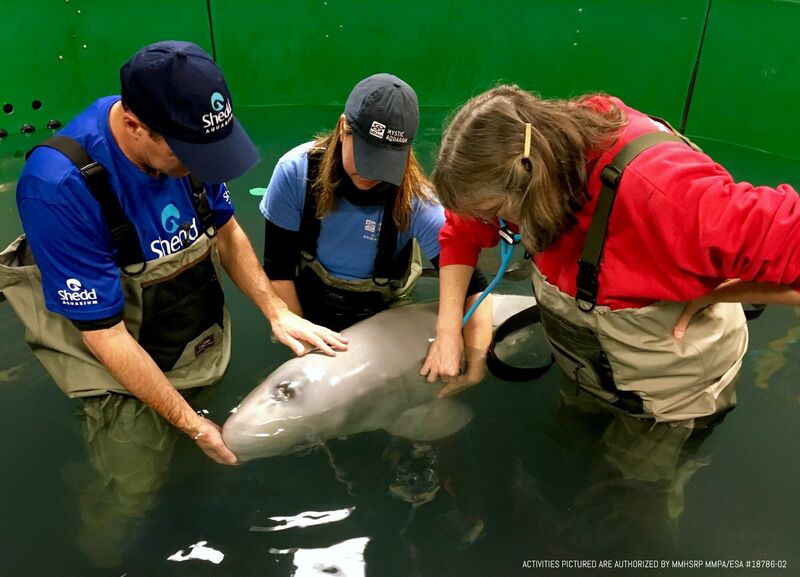 Intense effort is resulting in slowly improving health for a beluga whale calf rescued from the west side of Cook Inlet. 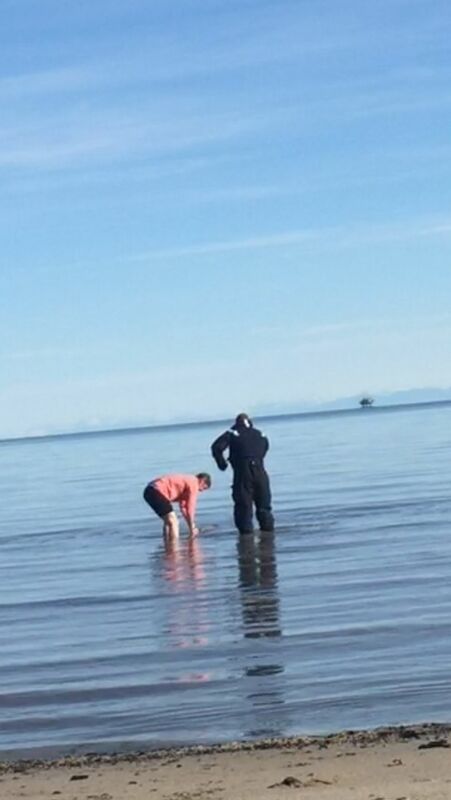 Caretakers in Seward remain hopeful the 2-month-old can return to the sea. 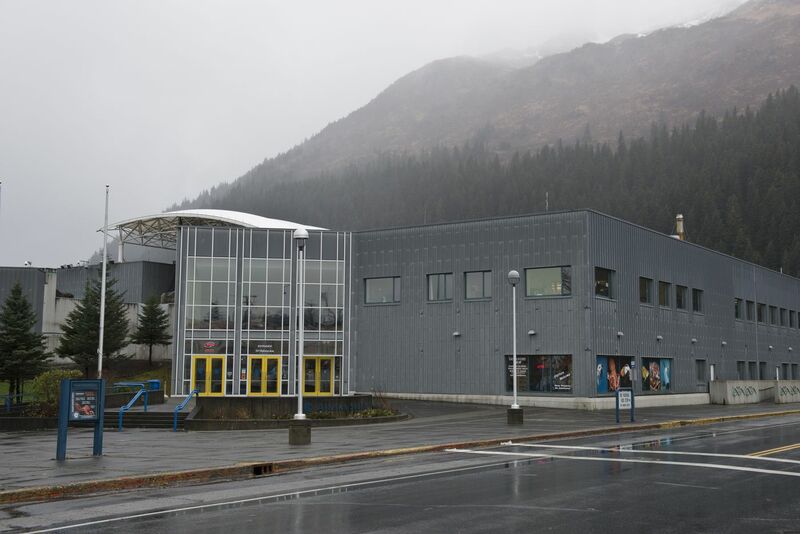 SEWARD — Eight people crowded into a hallway on the ground floor of the Alaska SeaLife Center one morning last week. They meet each day, out of public view, just outside the large, chilly room where they're giving a 2-month-old Cook Inlet beluga whale calf round-the-clock care. The team — the center's staff and other experts from around the country — talked about the whale's behavior and weight, the water temperature where he swims, and the equipment used to feed and care for the animal. They've been doing this for a month, and they share information in granular detail, attempting to coax an animal from an endangered population back to health with hope it can return to the wild. 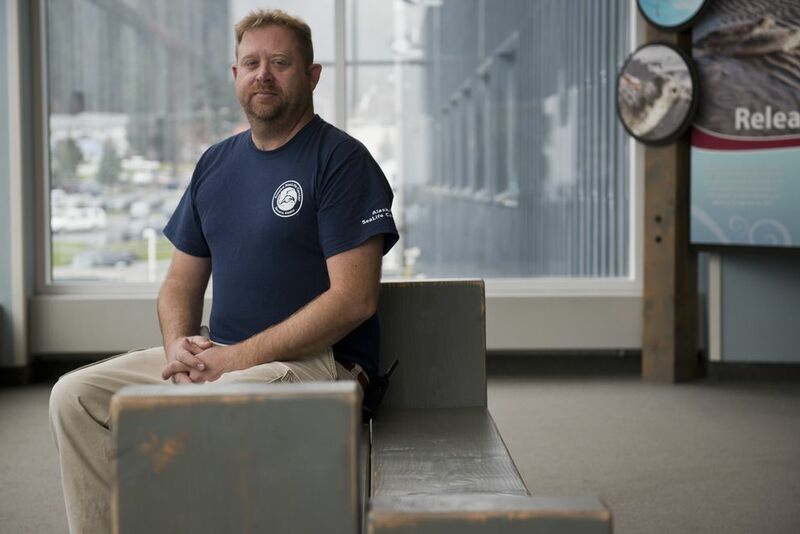 "The data we're getting, even though it might seem a little routine to the animal-care industry, is very valuable," said George Biedenbach, who is in Seward on loan from the Georgia Aquarium. "We're helping write a chapter in the book of how to raise a baby beluga." The National Oceanic and Atmospheric Administration will decide if a release is possible down the road. NOAA, which listed Cook Inlet belugas as endangered under the Endangered Species Act in 2008, has jurisdiction over cetaceans. For now, the scientists and staff are restrained in expressing optimism about the condition of the whale, recently named Tyonek after the village closest to the beach where he was found in September. "Great? I'm not quite there yet," said Dr. Carrie Goertz, the SeaLife Center's director for animal health. But the group sees a trend toward better health — weight gain, ease in feeding, improved digestion. All are significant. 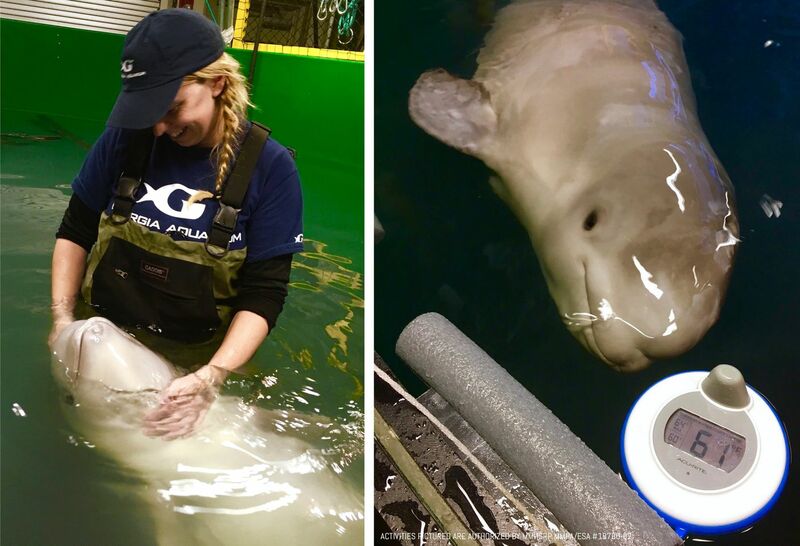 The SeaLife Center has never cared for a stranded Cook Inlet beluga calf before, and has worked with only one other beluga whale since the facility opened nearly 20 years ago. A few soft squeaks from the whale could be heard in the distance as the team reviewed the animal's condition that morning. "Even at this point, the amount that we've learned in just 30 days is just phenomenal," Biedenbach said. So far, the saga of the Cook Inlet baby beluga has been one of heavy lifting from the people who most want to see him thrive. But luck played a big role in his discovery in the shallow water of Trading Bay, on the west side of Cook Inlet. 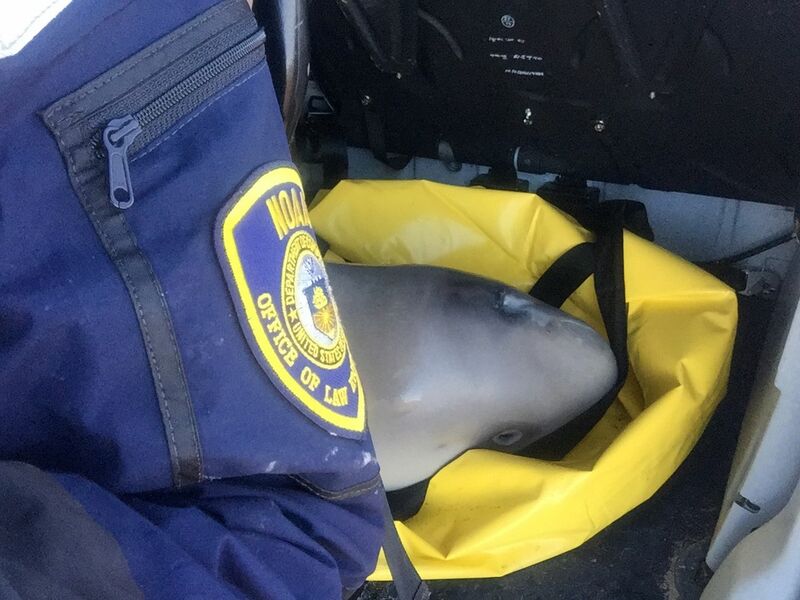 Noah Meisenheimer, an officer for NOAA's Office of Law Enforcement, was returning to Anchorage in an Alaska Wildlife Trooper helicopter on Sept. 30 after field work to investigate a dead beluga on the west side of Cook Inlet. From the air, he spotted a gray silhouette along the waterline. He spoke up to pilot Kenneth Reiser. "I said, 'We should probably turn around.' "
Observing more closely from the air, with the incoming tide slapping against the beluga, it was difficult to tell if he was looking at a carcass. Once on the ground, they found the animal on its side, skin on one side partially damaged by the sun. The whale, then about a month old and about 5 feet long, was moving. His first call was to NOAA's Office of Protected Resources, a necessary step due to the beluga's endangered status. With permission, he and Reiser tried to move the animal into deeper water, but the whale turned back toward shore. That happened three time before the decision was made to retrieve Goertz, the SeaLife Center veterinarian. She was in the area to perform a necropsy on the dead whale Meisenheimer had been investigating, a situation he thinks is not likely to be related to the calf, he said. "After that decision was made and the pilot flew to go pick her up, I attempted to return the animal to the sea probably another seven or eight times. And each time, it kept on turning back in," Meisenheimer said. 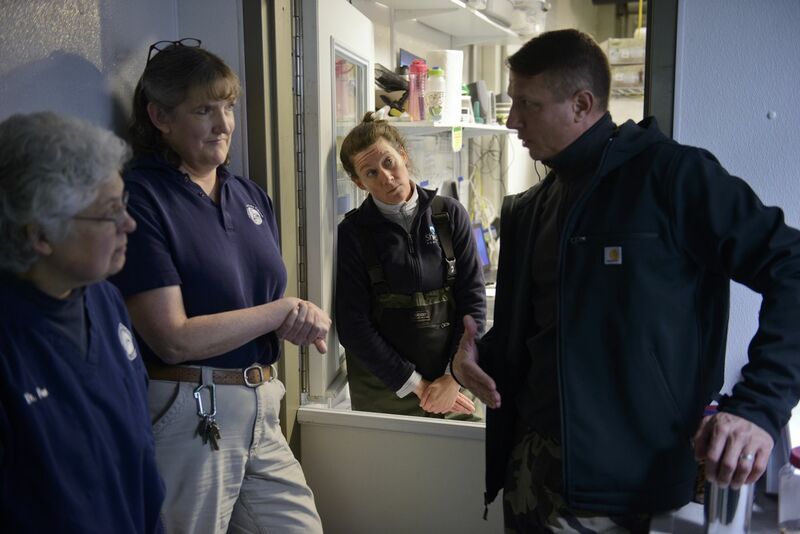 Meisenheimer kept in touch with other NOAA officials, and by the time Goertz arrived, she had permission to perform an assessment and decide what to do. Goertz observed that the whale's respiration was fairly even and its heart rate elevated, though not extremely so. It had some skin problems, but no gaping wounds or obvious broken bones. No other belugas were spotted in the water nearby that clear, sunny day, so a reunification seemed unlikely even if they could get the calf to swim. Beluga calves normally stay with their mothers for more than two years, she said. Should they try even harder, Goertz wondered, to get the whale to swim away? Or was its condition so deteriorated that it would be more humane to euthanize the creature on the spot? Goertz landed on a third choice. "I felt that he had zero chance of survival in Cook Inlet. And I felt that at least initiating the attempt of a rescue, that that wasn't going to be cruel and unusual," Goertz said. How to do that presented more tough choices. Calling in another aircraft would've taken valuable time. "In my opinion, it was best to try and affect this quick transport," Goertz said. 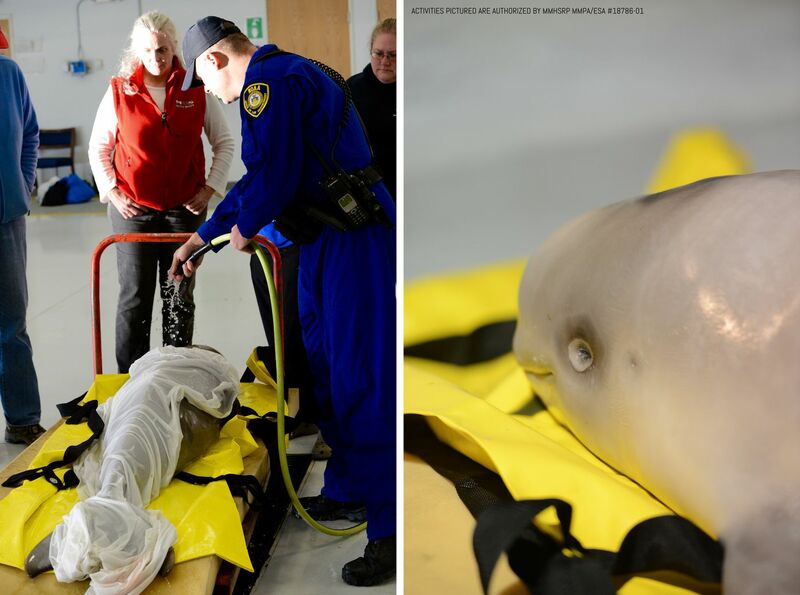 The three loaded the whale into the Alaska Department of Public Safety's Helo 3 using a body bag, the only thing they had on hand that was durable enough to serve as a makeshift sling. The beluga fit in the back, once one of the passenger seats were moved out of the way. Goertz sat at the animal's side. As the helicopter lifted off, the whale tensed, raised his head and moved his flukes, Goertz said, but settled quickly for his 30-minute ride to the big city. "The animal was very relaxed and soothed, and that could've been from the vibration of the helicopter," Meisenheimer said. Back in Seward, Brett Long, husbandry director for the SeaLife Center, the only marine mammal rehabilitation facility in Alaska, got the message from his colleague in the field at about 1:30 p.m that day: This is the real deal. Staff there divided tasks. 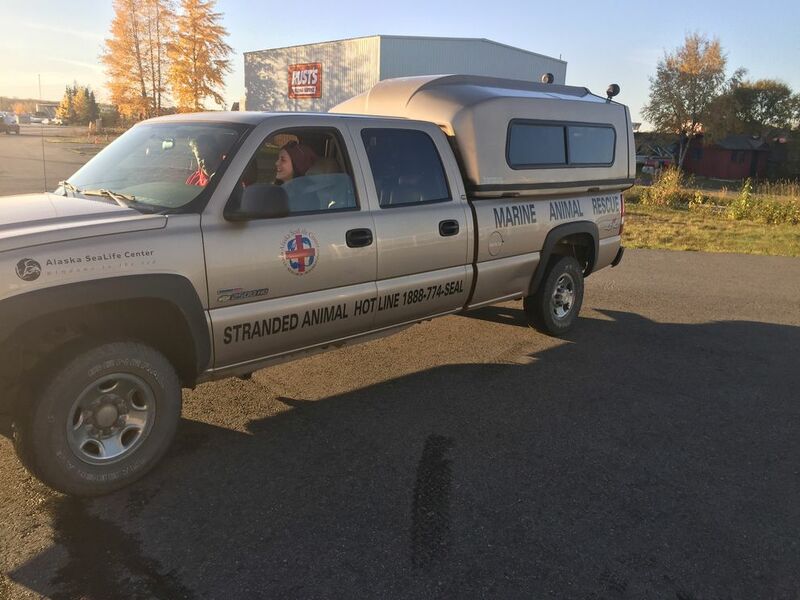 Some prepared a pool to receive the animal, while others prepared the wildlife response vehicle to pick him up in Anchorage. Call it a SeaLife family road trip in the cetacean wagon, a three-quarter-ton pickup with a covered bed, packed with emergency medical supplies, water and towels to keep the whale damp, and a foam cushion for him to travel on. Two people sat in the bed with the whale as the truck made its way down the Seward Highway, making sure he remained upright and his blowhole unobstructed. "It's nerve-wracking. There's not a lot you can do until you get the animal back here," Long said. But Seward was hardly the finish line, considering the task ahead. While waiting for the rescue rig to arrive, Goertz did some quick math. Even with all hands on deck at the SeaLife Center, they would soon be overwhelmed without additional help from experienced aquarium professionals. "We need to get people on their way here," she said. Long made calls while the whale was in transit. Several organizations committed staff for the assignment, each at their own expense, including Georgia Aquarium in Atlanta, Mystic Aquarium in Connecticut, multiple locations of SeaWorld, Shedd Aquarium in Chicago and the Vancouver Aquarium. "All of our colleagues are very passionate about what they do, and they recognize how rare this opportunity is to participate in this type of effort," Long said. Help began arriving the next day. Long estimates the whale to be about 2 months old now. Care happens out of public view, according to the stipulations of the federal permit they're working under. 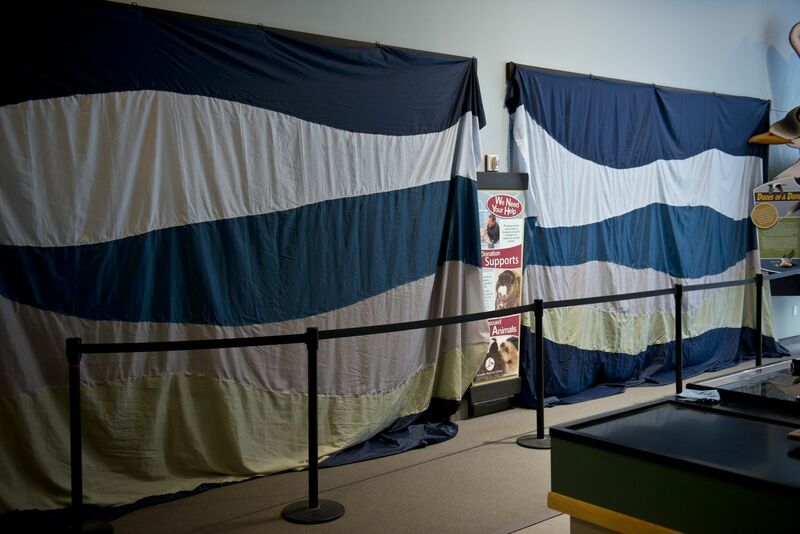 Windows into the SeaLife Center's "I.Sea.U," which often allow visitors to peer down on orphaned animals in recovery, are now covered with curtains. "He seems to be doing better. We're all doing a little bit better. And so, we're all kind of downgraded in defense condition," said Biedenbach of the Georgia Aquarium, who is three weeks into a one-month stay to help out. "Everybody's cortisol levels may have dropped just a little bit," said Lisa Hartman, the SeaLife Center's husbandry manager, referring to the human response to stress. In the first hours, two people stood in the saltwater pool with the weak whale, holding him near the surface so he could breathe. Later that day, he was able to support himself. Getting hydration and calories into him with a tube was often a four-person job at first, Long said, but his ability to suckle from a bottle has improved. His weight was has been a little up-and-down during his first month of recovery, as he worked through intestinal problems, and went through a postnatal molt. Beluga whales are gray as calves and white as adults. "He was losing pounds of skin a day," Goertz said. Goertz is confident that the weight gain she's seeing now is a good sign. At approximately 179 pounds, he's 39 pounds heavier than the day he arrived in Seward. Yet it's still necessary for three people to look after the beluga at any given time, all day and all night. Jessica Whiton has a daytime shift. 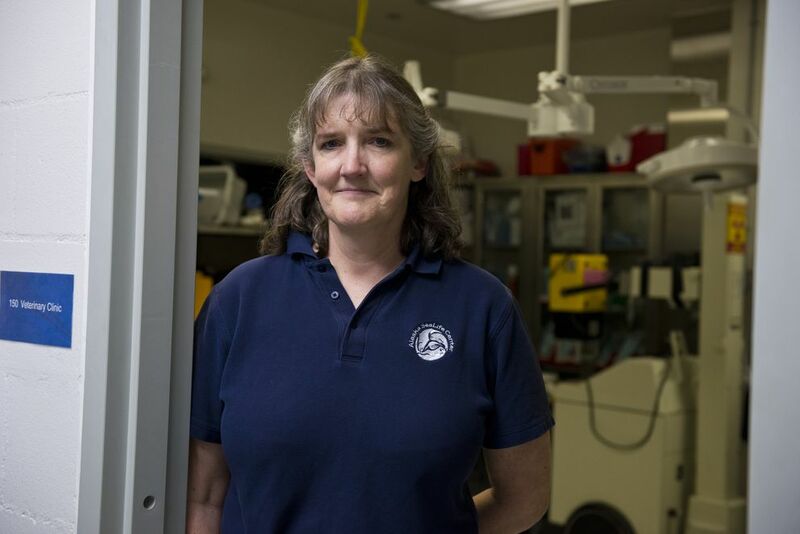 She has experience working with beluga calves born at the Shedd Aquarium in Chicago, where she supervises marine mammals. Her observations there helped provide a baseline for questions related to feeding of the rescued whale, such as how long beluga calves latch on and how many calories they ingest at a time. "That data helps these guys make decisions about how frequently he needs to eat," she said. In addition to treating the whale's physical health concerns, the crew provides enrichment activities to care for its mental well-being. Though there may come a time they'll need to "decondition" human contact to prepare the animal for release, right now they're trying to keep him stimulated. "He is from a social species that is used to a lot of contact, with his mom or sisters (or) aunties," Goertz said. 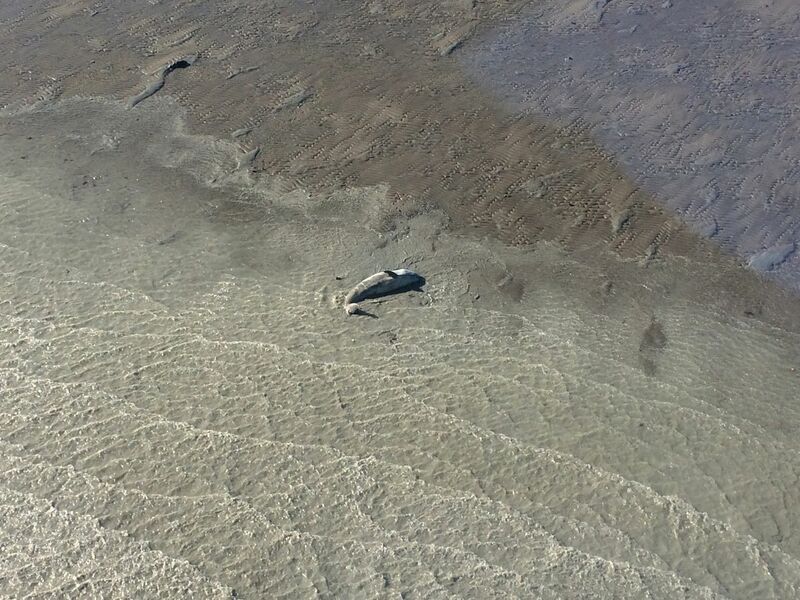 Back on the shore of western Cook Inlet in September, Goertz had one more important factor on her mind when choosing a path forward: the endangered status of Cook Inlet belugas. The population, estimated to be 1,300 in 1979, is now closer to 328, according to NOAA's 2016 aerial survey. "There is so much that is not known about the population," Goertz said. "There are very different things you can learn from a live animal than from a dead one." Goertz calls the list of tests that are ongoing "exhaustive," each with the potential to provide a new insight. Long said it's always a goal to return a rehabilitated animal to the wild, but in this case, there's no time-tested path to such a graduation day. 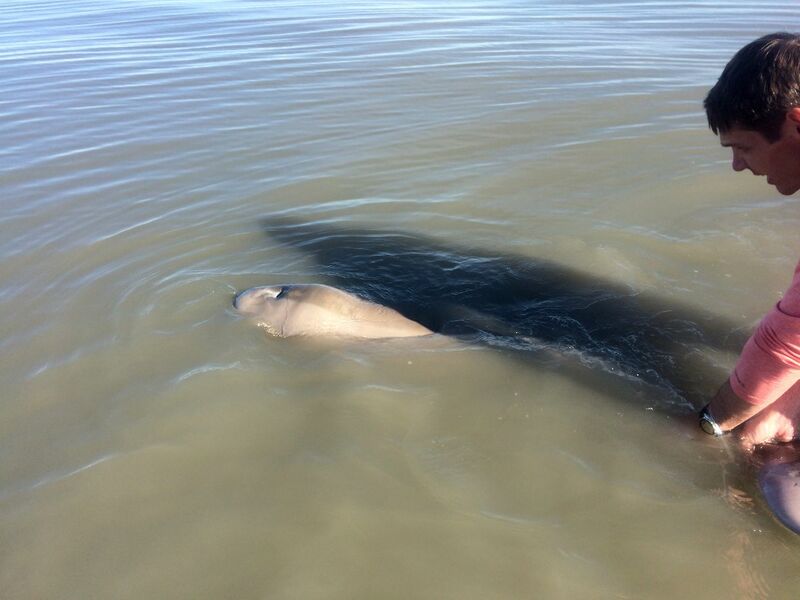 "NOAA is asking for a little more time to come up with what the criteria would need to be to count this animal as a releasable animal. So we'll work with them," Long said. Goertz expects to be part of a conversation with NOAA in December about whether the whale can return to Cook Inlet. And if he is released, questions remain about how to monitor his progress in the wild, feedback that is key to informing future beluga rehabilitations. "We can't be so myopic to just look at this guy here now," Biedenbach said. "We're potentially paving the way, with the regulatory folks, to say, 'What did we learn? What might we do different?' "
Despite the long days, the team is enjoying being in the company of the beluga. He nudges caretakers with his head when they join him in the 55-degree water, and swims behind them when they walk. He feels firm, but soft, like a not-quite-ripe plum, Long said. "He's squishy. He's like an olive," Hartman said. "He can be quite cute," Goertz said. "It's nice to see him develop a personality." Goertz said she has no idea how he got separated from his mother or why he was stranded. On Oct. 27, the SeaLife Center announced he now has a name: Tyonek. Together, the beluga's care team is bonding over the shared experience. Members often turn down days off, and some visiting pros say they'll miss the assignment when they rotate out and return to their home aquariums. "The little guy, he's pretty awesome. He is. But I guarantee that four or five years from now, that I'm going to be remembering the group," Long said of his colleagues. Whiton said she had another week to look forward to before heading home to Illinois. She said she'll miss watching the beluga develop, watching his curiosity grow and hearing his "squeaks and squawks." "To have the opportunity to experience something like this and be part of it? This is why I got into this field," Whiton said. Reached this week by phone, Meisenheimer, the NOAA enforcement officer who first spotted the whale, said he's been wanting to drive to Seward to see him again, and has been monitoring his progress on the SeaLife Center's Facebook page. It was a rescue that was unique in its entirety, he said, and credits the work of the helicopter pilot and the out-of-the-box thinking of the Wildlife Troopers who made the unorthodox airlift possible. "Ultimately, this is a victory for the animal. But it's a huge victory, also, for the scientific community," he said. The Alaska SeaLife Center, in Seward, is the only marine mammal recovery facility in Alaska. Photographed on October 30, 2017.